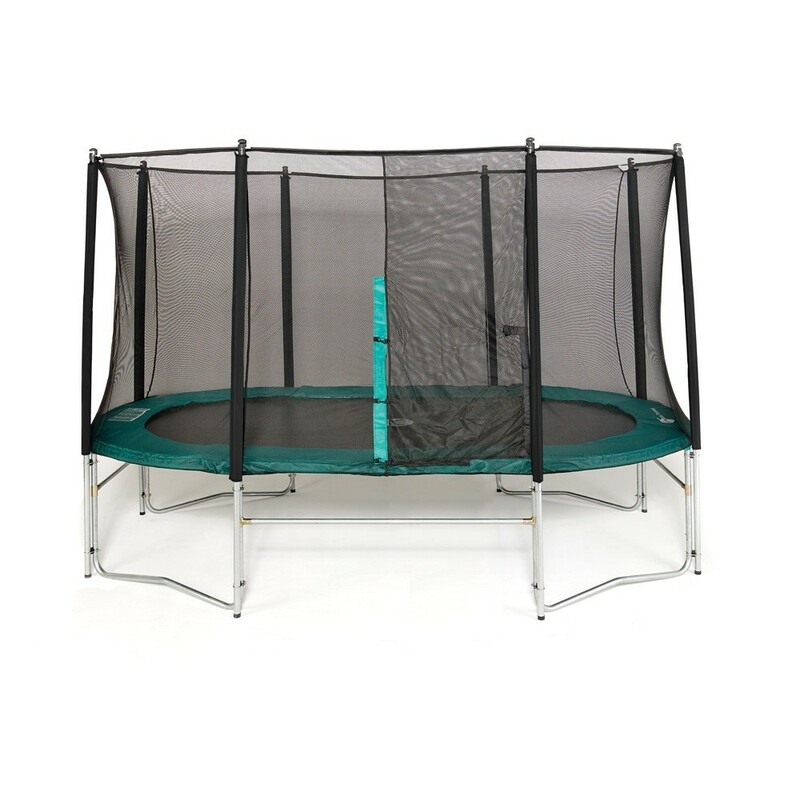 14ft Oval 430 family trampoline with safety enclosure and ladder. 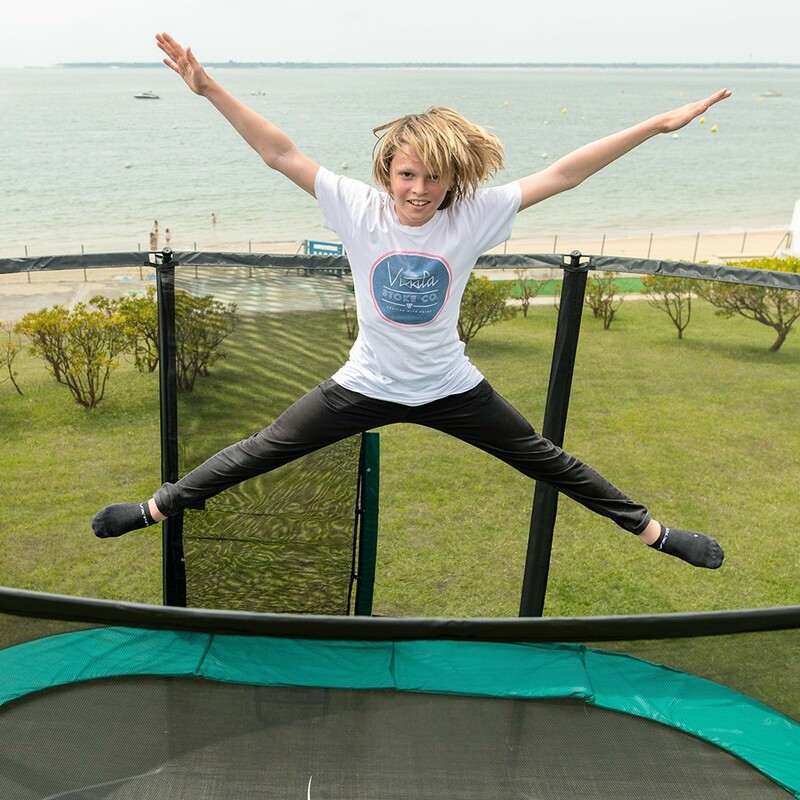 The 14ft Ovalie trampoline measures 4.23 m by 2.44 m, it includes an enclosure and is fully adapted for family use, just like the round Jump’Up trampolines. 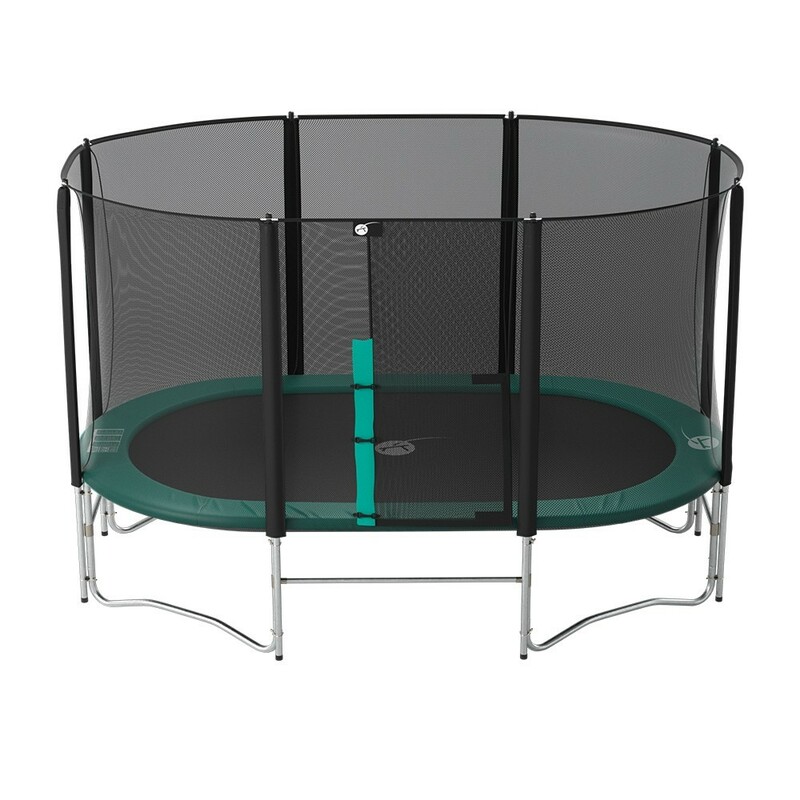 Its oval shape offers freedom to bounce, thrilling all users. 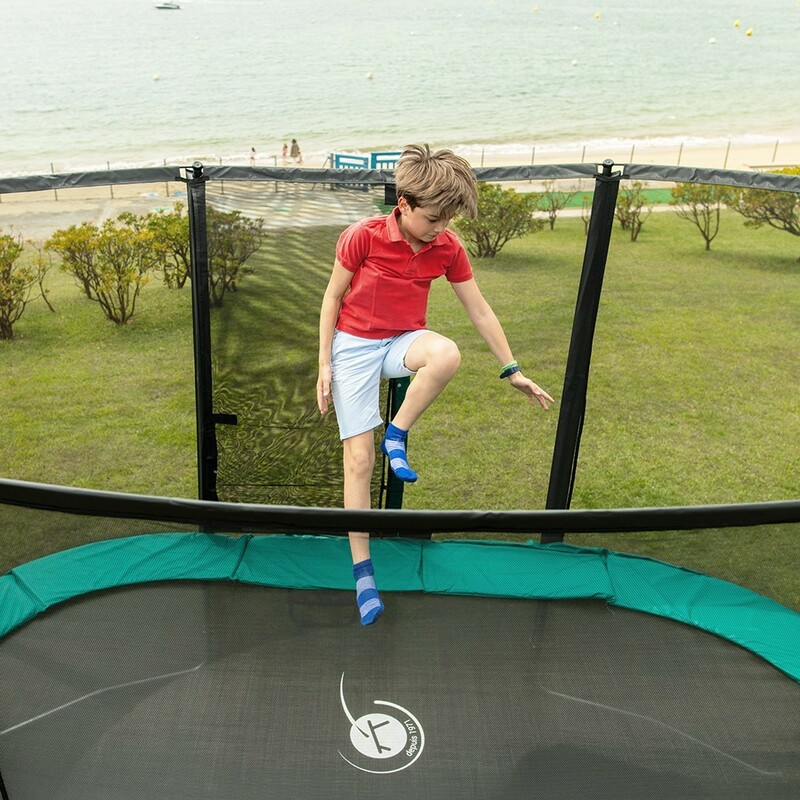 - The framework of the Ovalie 430 trampoline is hot-dip galvanized, meaning that it can remain outside, whatever the weather, without the risk of corrosion. 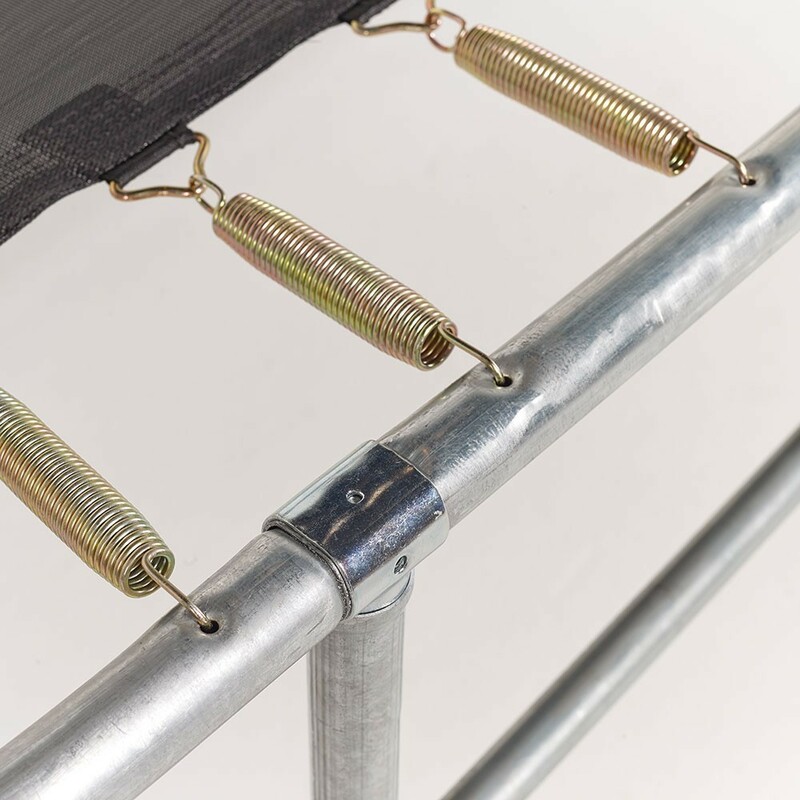 It has been designed using T-junction components, without any form of welding, which are used to link the legs and the framework of the trampoline together, strengthen the frame at these points. The tubes on the framework have a diameter of 42 mm, on the legs they have a 38 mm diameter and the thickness of the steel is 1.5 mm. 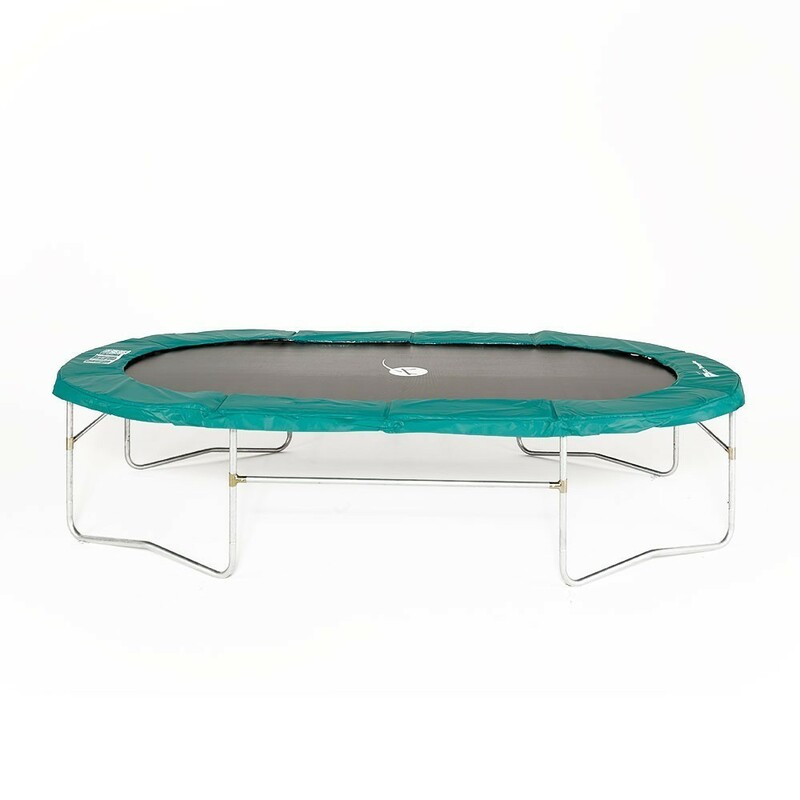 The trampoline can therefore withstand weights of up to 120 kg. 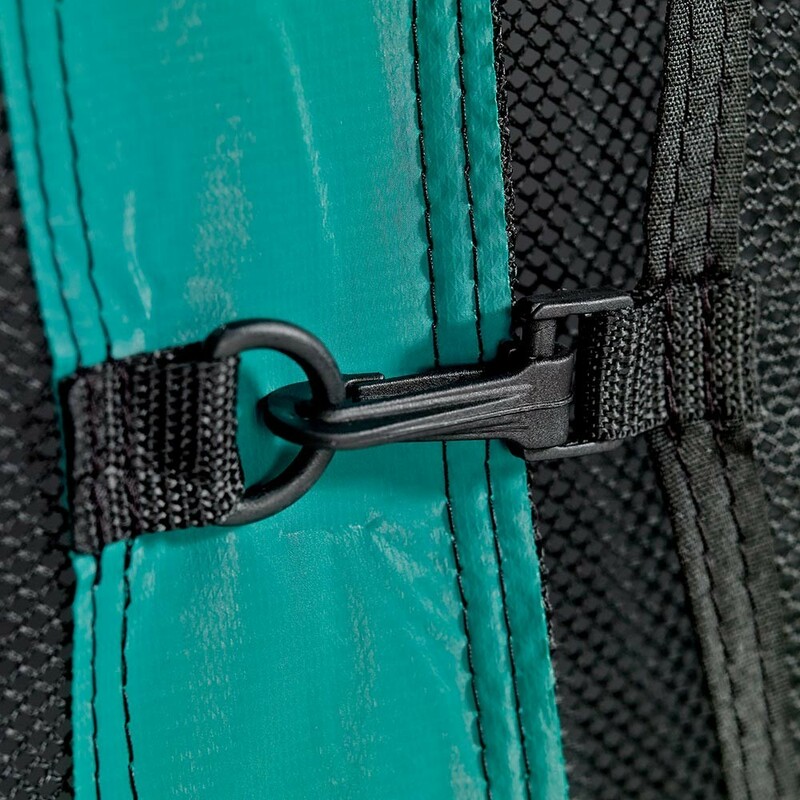 - The jumping mat has a strengthening strip, as well as 8 rows of stitches, guaranteeing its solidity: the triangular rings which hold the springs in place cannot be ripped off whilst in use. 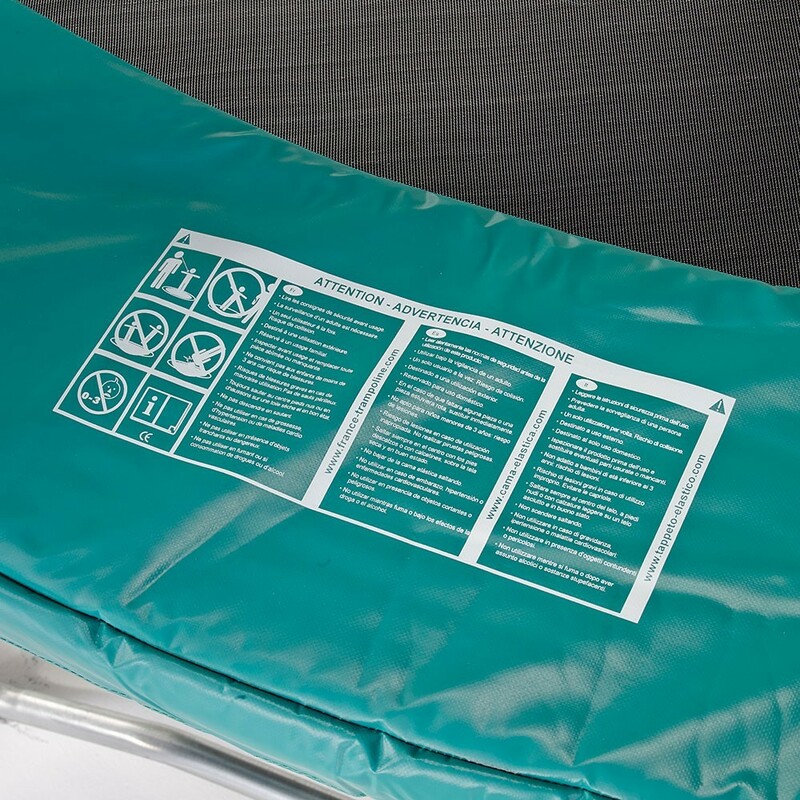 - The green frame pad is 25 mm thick and is manufactured using a compact EPE monobloc foam, covered in UV-protected PVC, similar to the tarpaulin used on lorries. - The resistant PREMIUM enclosure has been designed to ensure maximum safety on the surface area of the pad. The posts go all the way to the ground and are fixed to the legs of the trampoline using 2 fixation points. These posts of 38 mm in diameter have been hot-dip galvanized. 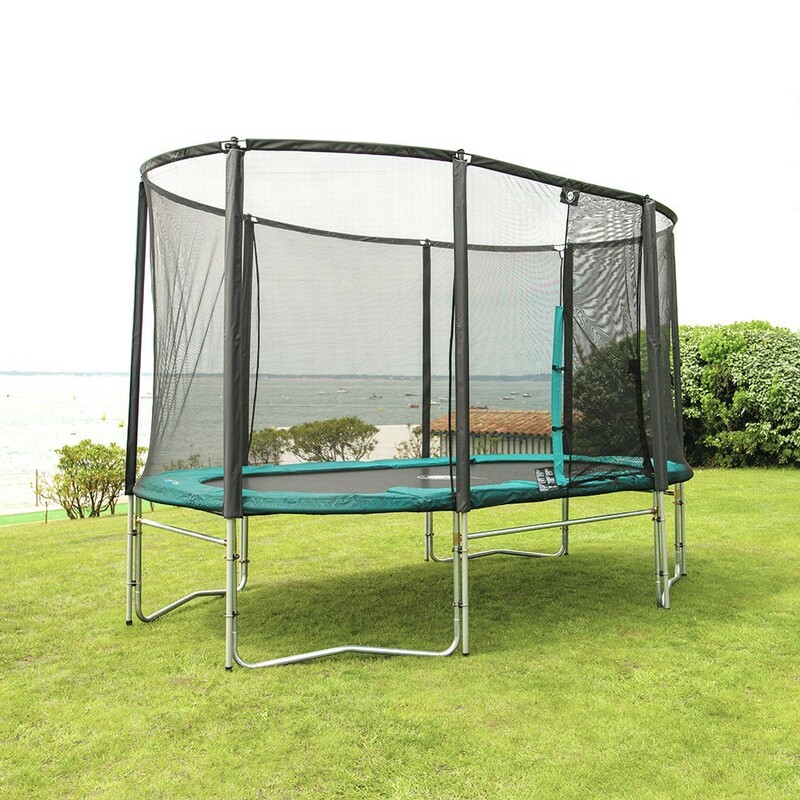 The opening of the enclosure overlaps: your children will no longer risk falling off a poorly closed trampoline. 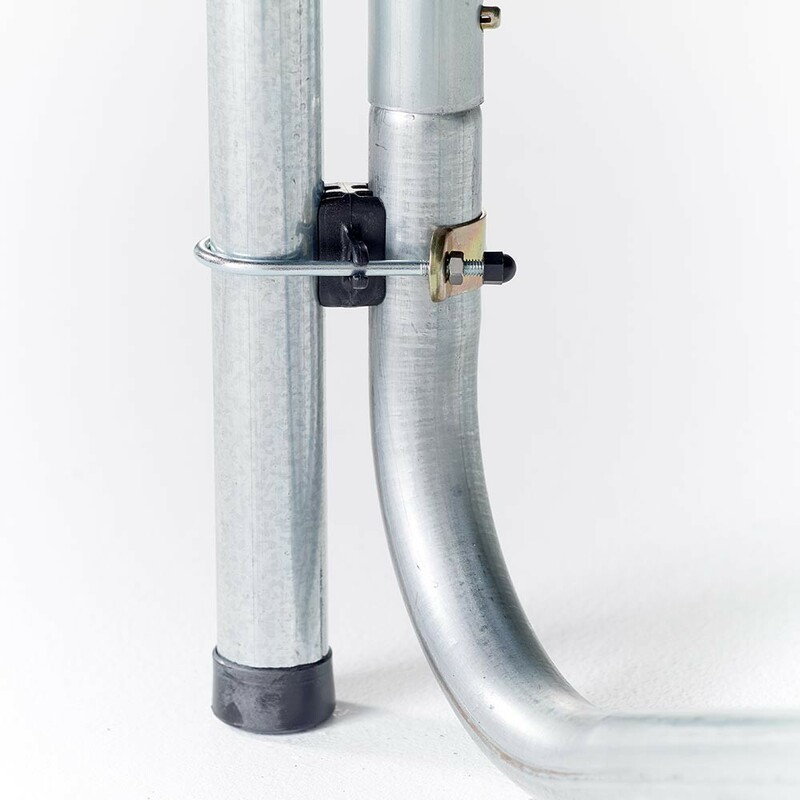 - A fibreglass rod system holds the enclosure in place at the top of the enclosure and makes it much more rigid. Its netting has been designed to be very fine which means that children cannot get their fingers stuck in it.